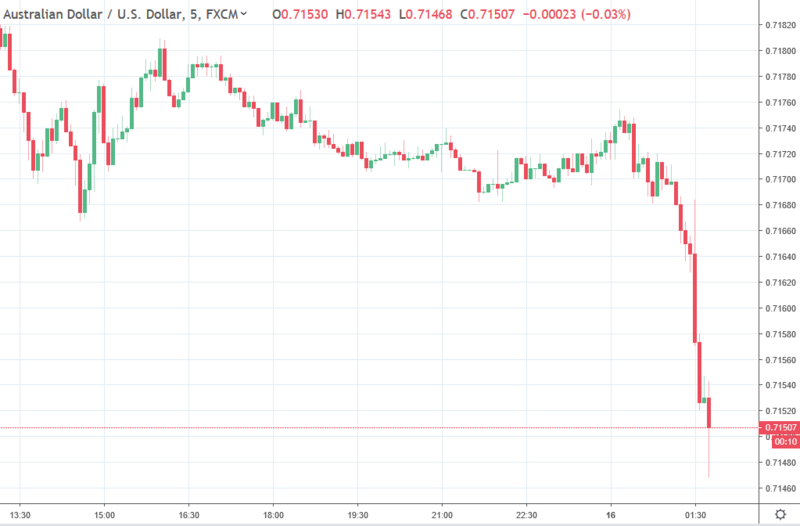 More on the RBA minutes … so when do they cut? Members agreed that inflation was likely to remain low for some time. Wages growth had remained low, there continued to be strong competition in the retail sector and governments had been working to ease cost of living pressures, including through their influence on administered prices. In these circumstances, members agreed that the likelihood of a scenario where the cash rate would need to be increased in the near term was low. Members also discussed the scenario where inflation did not move any higher and unemployment trended up, noting that a decrease in the cash rate would likely be appropriate in these circumstances. They recognised that the effect on the economy of lower interest rates could be expected to be smaller than in the past, given the high level of household debt and the adjustment that was occurring in housing markets. Nevertheless, a lower level of interest rates could still be expected to support the economy through a depreciation of the exchange rate and by reducing required interest payments on borrowing, freeing up cash for other expenditure. OK, so when does the RBA cut? Aye, that's the question.